There's nothing Jenna Bell loves more than a happily-ever-after. That's why being a wedding planner is her dream job - until the groom is Logan Gallagher. She's had a crush on him since . . . well, forever. And now she has to make his day magical as he walks down the aisle without her. As a secret service agent, Logan's already married - to his career. A wife was never in his plan, until he finds out he needs to marry the woman he's been protecting. He takes his latest assignment in stride, but when he sees Jenna again, he can't deny the attraction sparking between them. Can he really say "I do" if it means saying goodbye to the woman of his dreams? From beginning to end, this book was absolutely unbelievable. Seriously, I don't think there was anything that happened in the book that seemed like something that would happen in real life. For one thing, this is yet another book set in Harmony Harbor in and around the Graystone Inn. 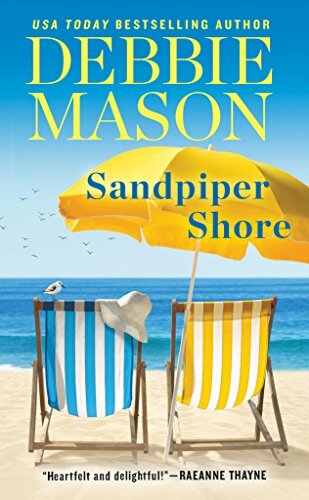 The ghost of Colleen Gallagher makes an appearance, and I have no problem with that--she's part of the world Mason has built and I can suspend reality enough to accept that Mason's world has the people she writes about, and a ghost. However, once the world has been built, I expect things to be believable within that world, and in this case they were not. The book starts in a bridal shop, with a customer in tears because she was just dumped, right before the wedding. While another bride is comforting her, that bride's fiancee comes in and dumps her, for her stepmother. The second dumped bride runs out of the store and is pushed out of the way of an oncoming car by Logan, who shortly thereafter punches the ex-fiance. He asks the dumped bride to run to the bar across the street (she's still in a wedding dress) and call his brother the lawyer. While at the bar she gets drunk and then starts pole dancing in her wedding dress--and the story continues in just this vein. Fans of the Harmony Harbor series may want to give this one a try, just to keep up with the series, but if you haven't read the others, I'd skip this one.